On June 22nd and 23rd, Forrester Research held their first ever Customer Experience Forum at the Grand Hyatt in NYC with this timely theme; The Customer Experience Journey: Keeping Momentum in a Downturn. They work hard at keeping it real and relevant. First let’s get the Wordle thing out of the way. I took eight pages of notes during the event; single spaced and 9 point font. I deposited all eight pages into Wordle and got this map. I always think long and hard about why I should attend a conference. In this climate you’ve got to make everything count, so I create a list of what I want to learn and questions I would like answered. I make it a point to meet at least three new people that I will follow up with after the event. I attended this forum in search of how to make customer experience more of a business driver for my company. I believe a good customer experience leads to additional product sales and loyalty, but in this downturn I need more and more empirical evidence for my senior managers. My approach when attending a conference is to do so as if I am required to give a summary to my CEO when I return. I’ve been thinking about the forum for a week now. There was so much information presented that it takes a while for it all to settle into my brain. 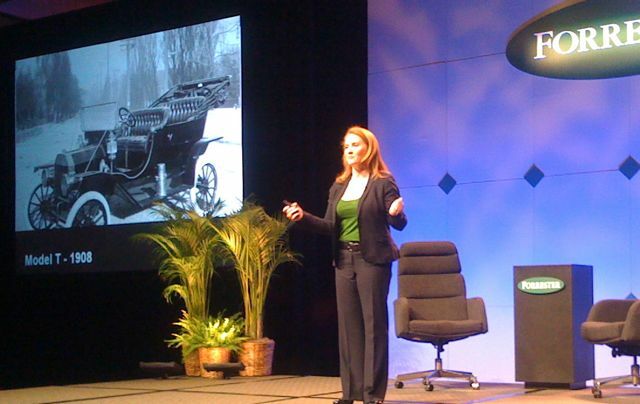 What I have arrived at is the following; customer experience is no longer a deck chairs moment. It’s real. Brands that get it will emerge from this downturn stronger than ever. Those that don’t; well let’s just say I wouldn’t want to be working for them. But their problems will be less about their employees and all about their customers. Consumers are in control. 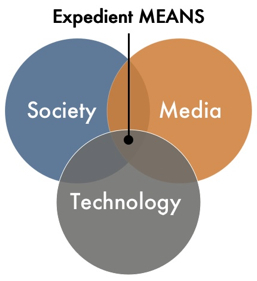 Technology advancements in social media have enabled and empowered consumers to crowd source ideas, opinions and advice. The bad news is frustrated consumers want to tell the world. The Good news is that happy consumers want to tell the world. Government action focusing on regulation as a result of the recent economic issues is really about improving the customer experience. Specifically it’s about increasing confidence, trust and advocacy in brands and industries. Brands should seize this rare opportunity to align with this inevitable change. People want to do business with people, not faceless, nameless organizations. People watch out for people. Companies watch out for shareholders. There needs to be more work done on how to connect these two areas and make it work for all. The corporate tension of today that’s been created by silos simply pushes the pendulum in the other direction. The result is consumers are constantly being whiplashed. Businesses still need to turn a profit. Sales, revenues, efficiencies, etc. are alive and well in the C-Suite. Firms demonstrating leadership that can connect customer experience with a social overlay and deliver business results will rule. More and more technology is playing an ever growing part on the stages once dominated by classic marketing, advertising and customer service. Integrated, multi-channel approaches are no longer nice to have, they are required. Some companies are already doing this. They are winning. Are you one of them? Keynote was given by Bruce Temkin; Charting Your Customer Experience Journey. 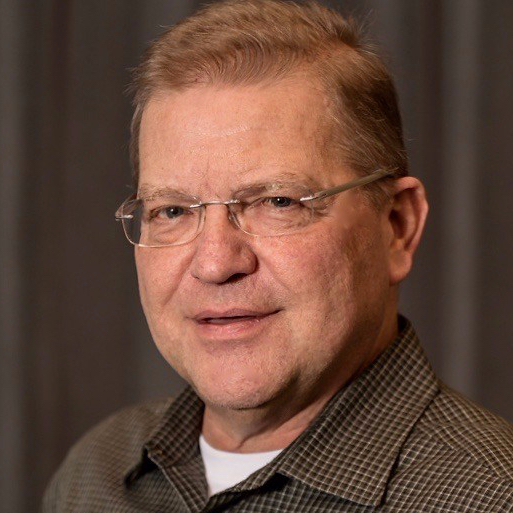 In this very engaging presentation, Bruce brought us back to The Wizard of Oz with references to needing a heart, brains and courage to tackle this challenge. He presented some powerful slides that directly linked customer experience to the bottom line to the tune of hundreds of millions of dollars for firms doing in excess of $10Bn. He reinforced his Experience-Based Differentiation model coined a couple of years ago. These require companies to follow these rules. Bruce’s mother was in the audience and he recounted something she taught him as a young boy. If you make promises, keep them. This nicely sketched out his second rule of customer experience. He closed with the following advice. Align all your customer experience efforts to business results. Use the voice of the customer to help. Provide clear leadership and governance. 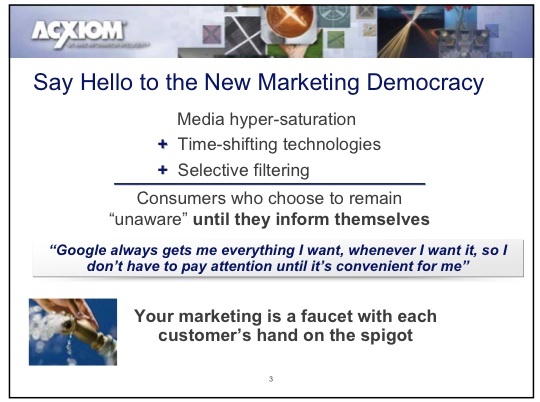 Acxiom and Hearst Publications presented some fascinating concepts called Winning Elections in the Marketing Democracy. They say it’s all power to the people. Everyone can contribute and everyone has a voice. If your marketing is important enough, it will find me. That’s a focusing fact to remind us we need to ensure there is a social overlay to our advertising and marketing campaigns. Hearst moved away from the restrictive construct of iVillage and created their own online properties. Traffic has flourished and they discovered they have two audiences for the same product. Fewer than 30% of a specific magazine’s site visitors also read he newsstand version, while fewer than 2% of the magazine readers visited the same site online. Creates more overhead to maintain both, but also opens up lots of opportunities to monetize. C. David Cush, CEO of Virgin America Airlines really delivered on how to execute brand differentiation with his speech, A Good Airline Experience is not an Oxymoron. Having spent many years at American, he gave a simple explanation on why airlines aren’t customer focused. Most airline CEOs come up through either finance or sales and they think about the customer as revenue. He talked about all the things Virgin America is doing on the planes for the customer, such as free wifi on all flights, and customers order food and drinks from their 9″ seat back touch screen, swipes their credit card and a team member brings them their order on a tray. No carts moving up and down aisles. Customers sometimes Tweet to @virginamerica while in flight and make comments. If something goes wrong, Virgin sends a team member to meet the flight at the gate to address any issues when the customer deplanes. Wow. I wish they flew to Chicago. When you look at the number of followers to airline Twitter streams here’s how it stacks up. Consumers like brands with personality who are challenging the standard ways and putting the customer first. 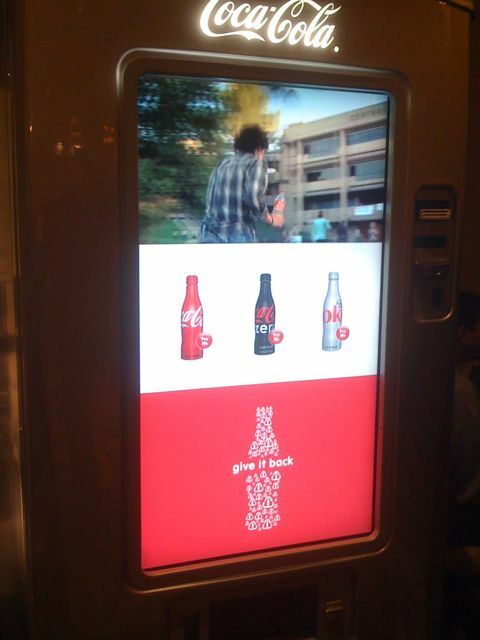 The tech showcase had a round-up of the usual suspects, but I did get to interact with a new interactive, touch screen Coke machine. Sapient had it at their booth and apparently it was battle tested during the Beijing Olympics last year. The screen real estate can be sectioned off to show video, or display ads. It can even go social, allowing consumers to write on the screen and share it in a community. It dispenses the new aluminum Coke bottle shaped cans. The day went from analyst speak to big brand case studies to a world class designer. Sohrab Vossoughi, President and Founder of Ziba Design said, Forget Customer Experience – Create Meaning. Design should be used to understand, synthesize, connect, simplify the complex, make meaning and create. He then presented his Umpqua Bank case study, which is a poster child of design for customers. The final day keynote was given by Moria Dorsey of Forrester entitled, The Future of Online Experiences: Prepare Now for Recovery. She took us from ballet to automobiles to the future of the web in about 45 minutes. The Forrester analyst I follow the most is Bruce Temkin, but Moria Dorsey is now a close second if not in a virtual dead heat. She led off with a history of the automobile and how it has taken 50 years for cars to find their true form and another 100 years to evolve to what we recognize them to be today. The web is essentially in the Model T stage, which means there is a mind numbing amount of change coming our way. Ms. Dorsey was pushing us to think about the future and possibilities with her predictions. She boiled down the future online experience as follows. She spoke about how the capability / mobility gap is closing while at the same time the number of interfaces and devices are multiplying. Consumers are being bombarded by new technology choices from all angles. They want to always be online, they visit social networking sites and more and more prefer richer interactions. 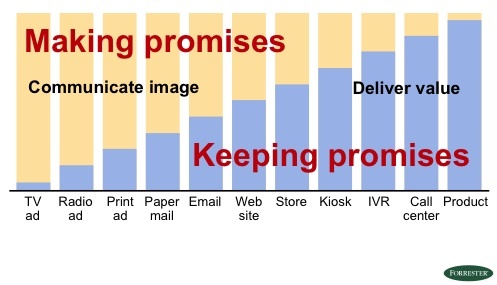 These consumer preferences should guide our digital roadmaps. But it’s not all about devices. Cloud computing has ushered in a whole host of new players and interactions. The number of web sites continues to grow, all of this combines to make formidable competition to even the most well established brands. Build mad design skills. Think software development, not web page coding. As we move into the Model-T era of the online space, design and create experiences not simply inside the window, but off the desktop and out to devices. The main stage closed with Martin A. Nisenholtz, SVP of Digital Operations at The New York Times. He presented a cast study on Building an Online News Experience. His talk was professional and well crafted. Obviously an experienced newspaper man, but clearly one that has made a successful transition to digital media. It wasn’t a classic case study, but it did provide some interesting glimpses of how a brand as strong and old as The New York Times is in the analog world has tried to remake itself for the a new era. It was a fascinating experience listening to Mr. Nisenholtz, because of his intellectual approach to the problem. They have tried to align customer experience with business model innovation. Advertising is their main source of revenue and although you don’t often see ad takeovers, they do rich media units on their home page. I’m a Mac, I’m a PC from Apple ads were showcased. Building a new online news experience has been accomplished in their interactive graphic reporting and how they try to balance social web and narrative web. They are viewed as two sides of the same storytelling coin. Mr. Nisenholtz said that beaking news is not their value proposition, but the title bar when you load nytimes.com says Breaking News, World News & Mulitmedia. The content delivers deep analysis and serendipity, and has high appeal to long time readers who have a thirst for knowledge and a desire to get life long learning. They focus more on psychographics than demographics. He did a very nice job of evoking old school journalism and translating it into digital terms. “Report the news without fear or favor” still holds today. It’s integrity, skill and craft that builds a real newspaper. He also hinted as to how their business model might change. He used the term fremmium (might have even coined it) that’s a combination of free and paid content. They don’t treat the models as binary, but try to do both. Mobility might be a good revenue avenue for paid subscriptions because it lacks a proven advertising structure right now. During the Q&A he was asked about the growing social media tools like Twitter and did he see that as a threat. He very emphatically and I believe rightly so, said that Twitter is a very large feeder to nytimes.com, but it will never replace what’s published in The Times. The audience broke out in applause. Indeed many of us stopped Twittering to join in. I have strong opinions on what’s happening with newspapers and express them here. On both flight segments there were some amazing cloud formations. Was able to capture three different ones. 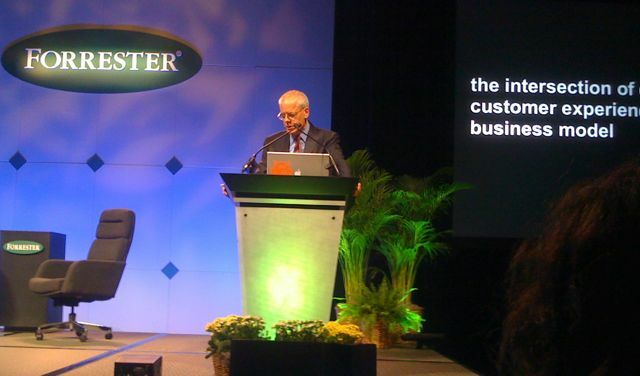 If you’ve never attended a Forrester Forum, I would highly recommend it. But go in looking for answers. Ask the analysts the hard questions and network as much as possible. Read my post from the Forrester Marketing Forum held in April 2009 here. I know that I expressed my vision of how DFS delegates should disseminate content from conferences/seminars in the future, but I do think it bears repeating. In my experience, when I was afforded the privilege of attending a conference, I was asked to summarize the key learnings in a formal powerpoint presentation format. This exercise proved to lose it’s relevance after realizing the delta between the seminars and the presentation to my area. I this age of convergence, I’m wondering if we should start asking our delegates to tweet and submit their observations and action items in a blog format similar to what you’ve authored in order to provide their colleagues and superiors with real-time insights.